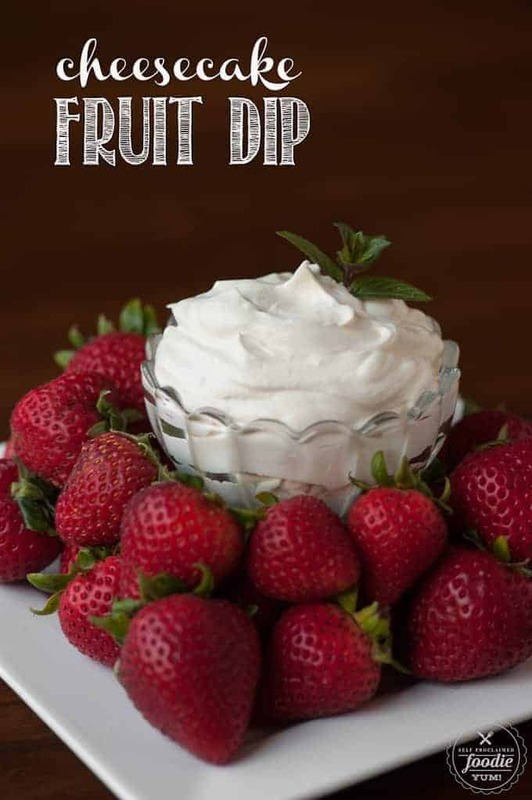 This easy to make smooth and creamy Cheesecake Fruit Dip has just enough sweet and has a secret ingredient that will have everyone begging for more. 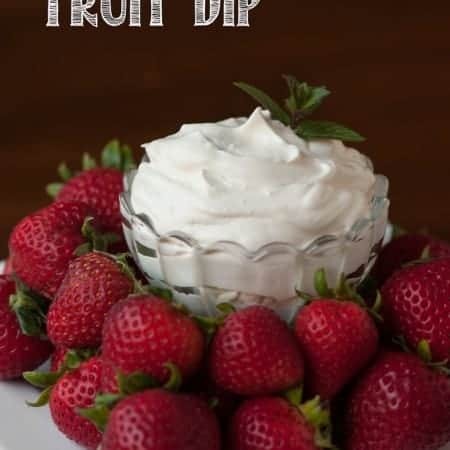 The first time I was introduced to this fruit dip was a few years back when my sister-in-law brought it over for dinner. I remember hovering over it, eating way more than I should, trying to pass it off as healthy because I was eating fruit. As much as you might want to think its as healthy as eating a nonfat plain greek yogurt, its not. But its so freaking good. Now, I remember her telling me she mixed in powdered sugar. 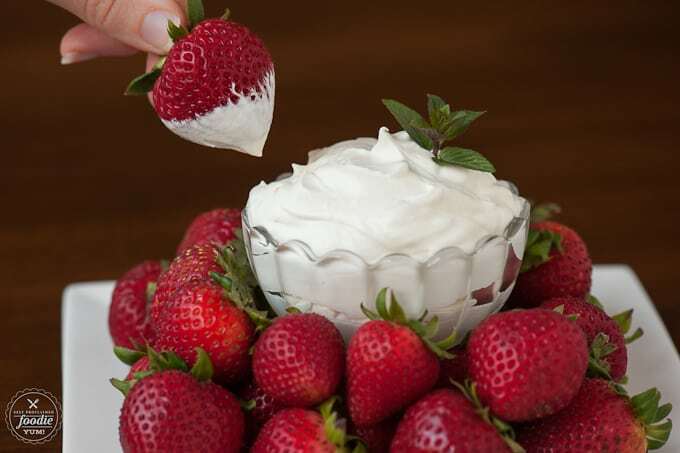 I did not put any additional sugar in this fruit dip – I wanted the sweetness of the dip to be mellow so that the natural sweetness in those lush red strawberries would shine through. 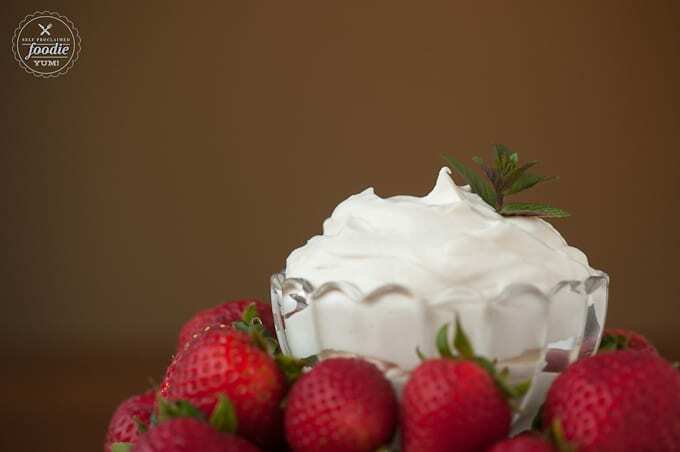 The homemade marshmallow creme, of course, is full of plenty of sweet and mellows out quite beautifully when mixed with the heavy cream and the whipped cream cheese. 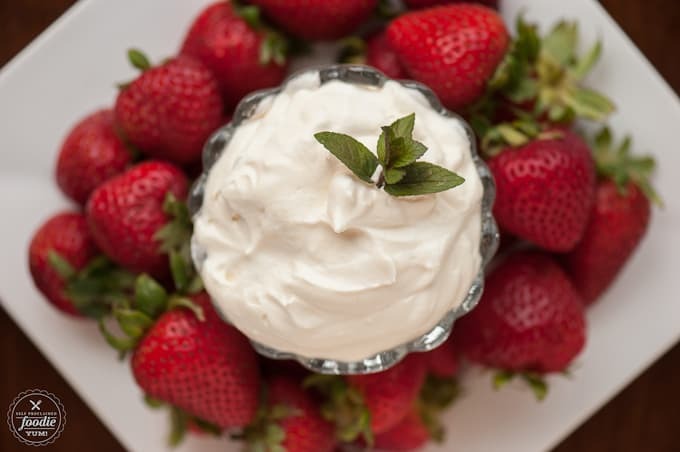 I called this Cheesecake Fruit Dip because it reminds me of the most rich and decadent cheesecake I’ve ever made which happens to have both cream cheese and heavy whipping cream. Mmmmm… cheesecake. The secret ingredient? Oh. You want to know what it is, do you? 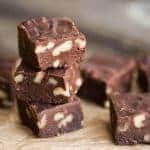 Well, in addition to adding some wonderful homemade vanilla extract, which I believe is necessary in most recipes, the secret ingredient that really gives this fruit dip that “wow” factor is a quarter teaspoon of pure almond extract. I just love that stuff and a little goes a long way. 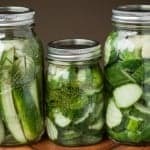 A word to the wise – you may want to make a double batch of this stuff so that you can get your fill before all your guests arrive and you can act civilized while they worry about what they look like while pigging out on this stuff. 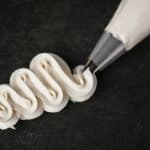 Whip heavy cream until soft peaks form by beating with a whisk attachment on high speed. Add cream cheese and marshmallow creme and continue to beat on high speed until well blended and fluffy. Add vanilla and almond extracts and blend until well mixed. 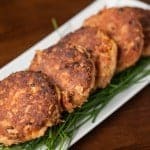 Serve with fresh fruit. So good! !